"The plasticity of the brain"
"Multiple Sclerosis: Role of rehabilitation"
"Maintaining the body in chronic illness"
"Stroke: Prevention, treatment and the community perspective"
"Speech and language therapy: Current approaches for communication and swallowing problems"
"Functional imaging: A tool for diagnosis and research"
"Management of Motor Neurone Disease and Post Polio Syndrome"
"Epilepsy: The pros and cons of current treatment"
"Parkinson's Disease: Old and new medical and surgical treatment"
During the day there will be a chance to view and purchase some of the latest publications on the subject - courtesy of Waterstones; share experiences and practices with carers and professionals alike; view a selection of relevant products for this field of care. A pioneering scientist, an entrepreneur, a communicator of science and a policy adviser. 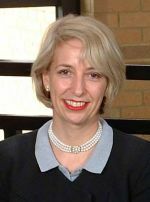 She is both Director of the Royal Institution of Great Britain and Professor of Pharmacology at Oxford University, where she heads a multi-disciplinary research group. National Medical Advisor to the Multiple Sclerosis Society of Great Britain and Northern Ireland. Professor Thompson is Associate Clinical Director; Director of Research and Development at the National Hospital for Neurology and Neurosurgery; and Professor of Clinical Neurology and Neurorehabilitation at the Institute of Neurology, Queen Square, London. She established the Lilley Clinic to deal with a cross section of cases with a strong bias towards treating neurological conditions. A member of a professional advice team establishing a brain injury rehabilitation unit and a member of the Association of Physiotherapists Interested in Neurology. Dr Coull is a Clinical Research Fellow and an Honorary Specialists' Registrar in Neurology. He is Specialist Registrar in Gerontology and General Medicine based at the Department of Neurology in the Radcliffe Infirmary, Oxford. Professor of Clinical Practice at the European Institute of Health and Medical Sciences based at the University of Surrey. Her background is speech and language therapy and the impact of communication difficulties on people's access to effective healthcare interventions. She has a particular interest in older people, mental health and stroke rehabilitation. Director at the Oxford Centre for Functional Magnetic Imaging of the Brain. He is an international lecturer and publisher of numerous scientific journals and papers. He is Professor of Neurology at Oxford; Fellow at St Edmund Hall; Adjunct Professor of Neurology at McGill University and Honorary Consultant in Neurology at the Radcliffe Infirmary. A Senior Consultant in Neurorehabilitation at the Royal Berkshire and Battle NHS Hospital Trust in Reading, she has developed an acute inpatient neurorehabilitation unit; assisted with the development of stroke services for all ages, and has a large outpatient practice for all aspects of neurologically disabling disorders. Her published work covers assessment, stroke treatment and outcome, mild and severe head injury, multiple sclerosis, cerebral palsy, motor neurone disease and other rehabilitation topics. Over the last 12 years she has been involved in all aspects of the practical management of Motor Neurone Disease. 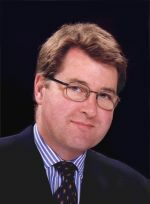 An Australian by birth, Dr Adcock is Honorary Consultant Neurologist and an Epilepsy Research Fellow at the Radcliffe Infirmary, Oxford. Her clinical interest is in medical and surgical management of epilepsy, and research interests cover the use of functional MRI of the brain to assess language in patients having surgery for intractable epilepsy. A Consultant Neurologist at the Royal Berkshire and Battle Hospitals in Reading and the Radcliffe Infirmary, Oxford. He trained in Oxford and at the National Hospital for Neurology and Neurosurgery. In 1992 he was appointed consultant neurologist to the Royal Air Force and now continues this role in a civilian capacity. In Reading and Oxford he helps to run the multi-disciplinary movement disorder clinics. His main research interests include the surgical treatment of Parkinson's Disease and Dystonia and pharmaceutical trials for Parkinson's Disease. Registration is £75 per delegate (VAT exempt) to include lunch, refreshments throughout the day and a conference pack. A few places will be available FREE of charge for West Berkshire Carers, and some concessionary tickets will be available at £40 on a first come first served basis. For details please call 01635 42775. Click here for a printable reservation form. West Berkshire's Neurological Alliance seeks to represent all West Berkshire people with a neurological condition. The conference provides a platform for leading national and local speakers in the field of neurology, to share their knowledge with everybody involved in improving the quality of life for people living with a neurological condition. Our thanks go to sponsors Charles Lucas and Marshall, Solicitors; Awards for All; The British Polio Fellowship - Berkshire Branch; Publicity Project (Newbury) Limited. fund a specialist neurology nurse for this district. Newbury Racecourse Conference Centre is close to Newbury train station, the M4 and the A34. Newbury provides a number of hotels offering a range of accommodation.